The Modi administration’s choice of Ajit Doval indicates a focus on internal security over foreign affairs. Ajit Kumar Doval has been tapped as Narendra Modi’s National Security Advisor (NSA). Doval’s experience is markedly different from his predecessor, Shivshankar Menon, who was a seasoned diplomat, primarily skilled in international affairs and geopolitics. Doval, by contrast, comes to the post of National Security Advisor after a career in internal security and law enforcement, beginning his career in the Indian Police Service. He does have some experience in Pakistan affairs, having spent six years in the country. Additionally, Doval negotiated the outcome of every Indian Airlines hijacking from 1971-1999 for the Indian government. With Doval as his National Security Advisor, Modi is likely to make internal security, counter-terrorism, and counter-insurgency a priority for his administration. In fact, it appears that Doval’s appointment is a source of controversy already, with conflicting reports in the Indian press about his appointment as the next NSA. While reports over the weekend widely stated that he was incontrovertibly the next NSA, an Economic Times report by Bhavna Vij Aurora and Dipanjan Roy Chaudhury alleges that it is precisely Doval’s dearth of international experience that has made him a controversial pick for the NSA position, which has traditionally gone to a diplomatic or a strategic thinker. According to the Economic Times’ report, “the argument being made by the foreign policy establishment that the Prime Minister needs a foreign policy expert as much he does an intelligence and security affairs expert.” The report also alleges that the Modi administration could tap another senior advisor with foreign policy experience as a Deputy National Security Advisor. Modi’s choice of Doval does nonetheless send a message that his administration will prioritize getting India’s internal security in order before addressing global challenges. With the exception of Pakistan and China, the Modi administration appears to be rather inward looking when it comes to security matters. Modi has largely continued his preference for remaining tight-lipped on foreign policy even after his inauguration as Prime Minister. In contrast to his appointment of Doval for the NSA job, Modi made a somewhat provocative move when he chose former Indian army chief General V.K. Singh as the next federal minister for the northeast region where India and China share a territorial dispute over Arunachal Pradesh. Modi is sending mixed signals between Doval and Singh. To balance Doval’s relative inexperience in international matters, the administration may tap current Indian Ambassador the United States, S. Jaishankar, as a foreign policy advisor to the prime minister. While India does face significant national security challenges from its neighbors Pakistan and China, it faces equally, if not more severe, threats from domestic terrorism and separatism. Former Prime Minister Manmohan Singh, for example, described India’s Naxalite separatists as the country’s top national security problem. 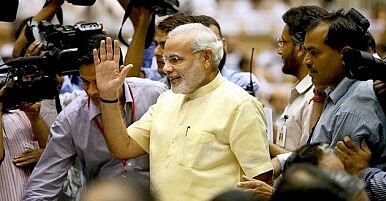 Modi similarly alluded to combating terrorism as a top priority for his government during his campaign for prime minister. With Ajit Doval, the Modi government has a bureaucrat skilled and experienced in the area of domestic security but less so on international matters.